Let’s face it: nothing quite says “summer” like a good burger done on the grill. If you are a carnivore, your first choice will likely be a big ol’ slab of beef, but if you are vegetarian or vegan, sometimes choices can be, shall we say… less than tasty? Despite the fact I don’t eat a lot of meat, I’m not a huge fan of tofu. I’ve never been able to cook it so that it didn’t taste like anything but tofu, so I don’t buy it often. There are certainly commercial veggie burger brands on the market: Yves, Money’s and Morning Star (available at Trader Joe’s in the States, or at Pirate Joe’s on 4th), all make palatable varieties. I’ve been known to buy the Costco packs and pull them out of the freezer as needed. But I was curious: if I want to make my own. 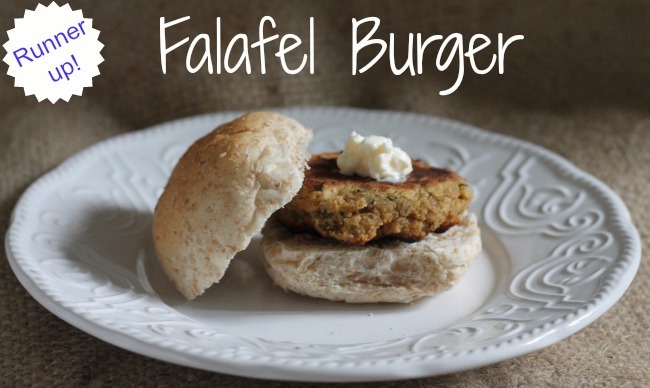 what is the best veggie burger recipe? There are a bunch of options out there, like a tofu, or TVP-based burger, a grain-based burger made with rice, oats or quinoa, a bean-based burger, a nut-based burger, or a mushroom– and vegetable-based burger. Often, recipes will combine a few or all of these together. The challenge with veggie burgers is often with texture and how well they bind together or hold up to grilling. And they can sometimes be dry. I gathered four of the finest culinary palates in the city (okay, not really, but they were hungry and willing and honest, and most had been, or currently were, vegetarians), and four veggie burger recipes. I didn’t tell the subjects what the basis of each of the burgers was, or where I had gotten the recipe from. I just made them and served them. They were required to try each burger naked, and then they could add whatever condiments they liked. The tasting team was rounded out by my 11-year-old son/food critic. Each of the tasters scored each burger on a scale of 1-5 (5 being the greatest), rating it on Taste, Texture and then gave it an overall rating. I will add some additional comments on each about how complicated the burger was to make. Let me say for the record (and I know I’m not alone here), but The Kitchn is one of my all-time favourite go-to food blogs. They seldom steer me wrong. This burger is a beet-based burger, so we immediately called it “Pink Delight.” For obvious reasons. The beets pair with hearty brown rice and black beans, and are flavoured with onions, garlic, smoked paprika, mustard, cumin and coriander. “Since I hate beets, I can’t quite love this one. But otherwise good. Moist.” –this last comment from Jen, who sucked it up and took one for the team and tried the burger, despite having a serious beet aversion. My note: SO MUCH WORK (yup, in capital letters). You have to roast the beets. Then you have to peel them. Then you have to grate them. Then you have to sauté the aromatics. Finally, you puree everything together in the food processor, but yeesh. A lot of work. And my kitchen ended up looking like a scene from a Tarantino movie. 2. Mediterranean Chickpea Burgers from Weber’s Big Book of Burgers: The Ultimate Guide to Grilling Backyard Classics . The basis of this burger is chickpeas, so we dubbed it the “Falafel Burger.” It’s filled with Mediterranean spices, like cumin, coriander, and fresh cilantro. I also made a pesto/mayo/yogurt spread that went really nicely with this burger in particular. Reactions were unanimous: we all like Falafel. We just don’t want to eat it in a burger. My note: easy–just huck stuff in blender. 3.The Great Big Vegan Burgers from The Sobo Cookbook: Recipes from the Tofino Restaurant at the End of the Canadian Road . Everyone took one look at this burger, and immediately agreed it needed to be called “The Hippie Burger.” Not shocking. Tofino is hippie central, and this burger is totally vegan. I was completely smitten with Sobo when I ate there a few months back, and have been avidly cooking from this book since I got it. This is the heartiest of all the burgers–there’s quinoa, portobellos, pumpkin and flax seeds as well as carrots, spiced with cumin, coriander and chilli. My notes: also a lot of work. Not quite as much as the beet burger, but still a lot to do and many, many steps. Wish I’d pureed it more. The recipe said to leave it chunky, but I don’t think that worked. 4. Best. Veggie. Burgers. Ever. This burger is a nut-based burger, in this case, walnuts. You add some breadcrumbs and eggs to bind, blitz it in the food processor, and bam! Burgers. My notes: While it was probably the easiest one of the four to make, it was my least favourite to eat. The insides were mushy and pasty and not a very pleasant texture. It didn’t taste good. However, two of my tasters, Jen-the-beet-hater and Michael, said it was their favourite, and the most “burger like” of the four. 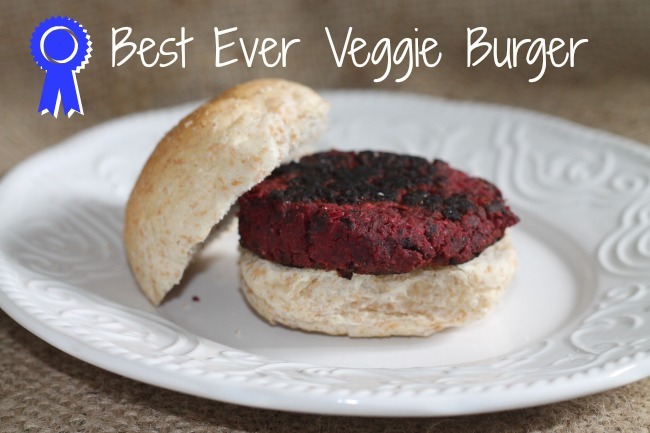 The Best Veggie Burger?? By a hair, The Best Ever Veggie Burger. I’ll be making these again, but this time, instead of cooking the beets, I’m going to juice them, and use the pulp to make the burgers. I’ll be back with my adaptation of the recipe if they are a success! What’s your favourite veggie burger? Share in the comments below–despite the research, I don’t think my search is over! Big love to Michelle, Jen, Jen-who-hates-beets, and Kristi for being fantastic taste-testers and good sports.